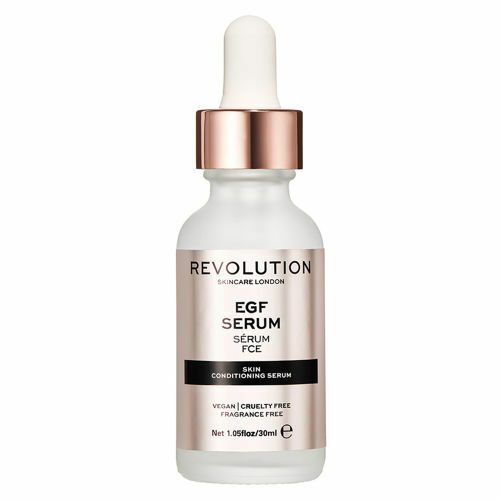 Rejuvenate your complexion with Revolution Skincare EGF Serum. This lightweight, versatile formula melts into the skin, containing plant-based protein EGF to reduce the appearance of fine lines, plump and rehydrate the skin, promoting a fresher and more youthful look. 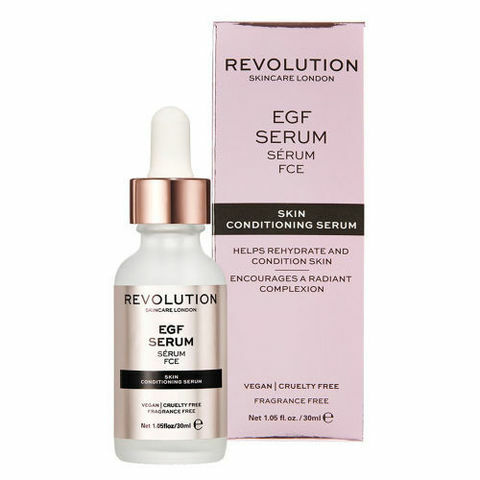 Aqua/Water/EAU, Propanediol, Glycerin, Butylene Glycol, Xanthan Gum, Sodium Benzoate, Potassium Sorbate, Phospholipids, Disodium EDTA, Leuconostoc/Radish Root Ferment Filtrate, rh-Oligopeptide-1.